The original, proven head system in 12/14 mm offset variations. Today, the modular BioBall® System is available in practically every certified endoprosthetic clinic in Germany. Over the past fifteen years, it has proven its worth internationally and has become the gold standard in endoprosthetic hip revision surgery. 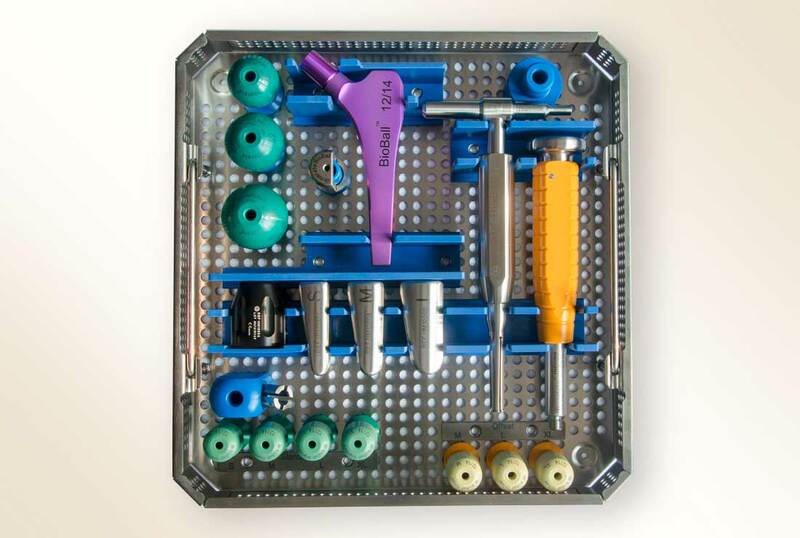 The BioBall® System, which Merete brought onto the market in the late 1999s, allows surgeons to compensate misalignment between prosthesis stems and acetabular cups intraoperatively. 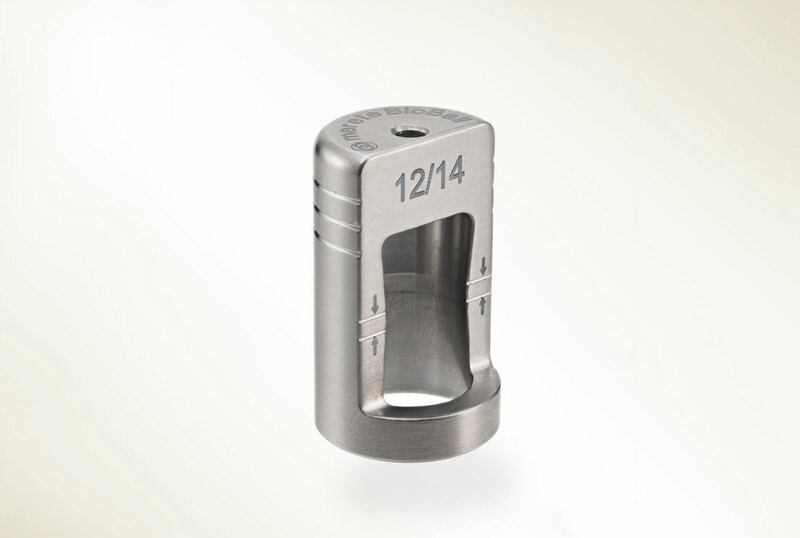 When used in revision surgery, the system’s titanium Adapters make it possible to use ceramic components with an existing stem. 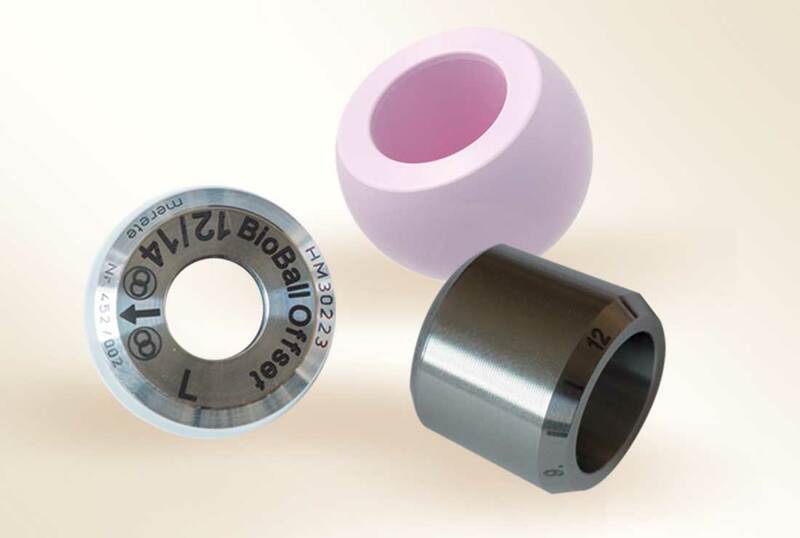 The BioBall® Offset Adapters variations, in terms of medialization or lateralization as well as correction of retro- or anteversion, allow intraoperative problem-solving. For corrections of neck length please see BioBall® Standard Adapter. The BioBall® Adapter’s variable corrections for medialization or lateralization as well as correction of retro- or anteversion, and range of options in terms of head, have been cited and documented extensively in medical literature. The risk of dislocation following a total hip arthroplasty can be minimized or eliminated. 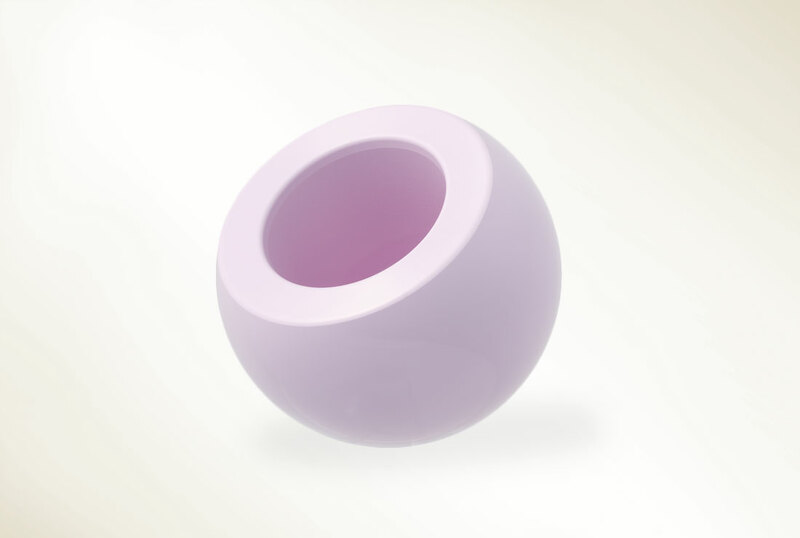 The BioBall® System is also used in primary total hip arthroplasty operations to address unexpected situations. BioBall® Standard versions allow for corrections in femoral neck length. The patented BioBall® AdapterSelector™ is the first medical instrument used to check cone geometry intraoperatively or identify defects in the cone of the in-situ stem during revision surgery. BioBall® Adapters should only be combined with BioBall® heads. For more information please contact Customer Service at 855-637-3831. The IntraBlock™ BioBall™ Hip System (IBS) is intended for use in total hip arthroplasty.